Macadamia nuts are together with Kona Coffee two of the ‘signature crops’ of Hawaii – and they are good for your health! Macadamia nuts grow on trees, and there are many macadamia trees on the Big Island: over 17000 acres. If you are interested in sampling these local gems, you can either visit a macadamia nut orchard and collect them yourself, or buy macadamia nuts at the farmers market or in the supermarket. Have a look at “Visiting a macadamia nut orchard on the Big Island” if you are interested in visiting a macadamia nut orchard or even spending the night at one. 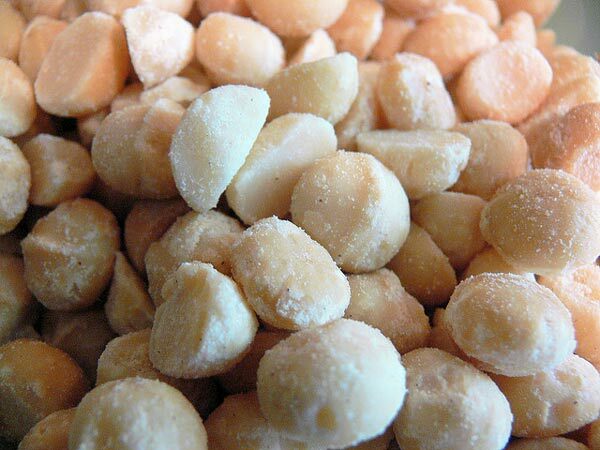 Macadamia nuts are one of the ‘signature crops’ of Hawaii. Macadamias are used in different menu items, ranging from macadamia nut coffee to macadamia nut pesto to macadamia nut butter. The nuts can be eaten raw or roasted, whole or chopped. Some of our favorite macadamia snacks include chocolate covered macadamia nuts or white chocolate macadamia nut cookies. You are sure to encounter some of these items on your vacation on the Big Island and when you do, we heartily recommend you try them. If you want to visit an orchard yourself to buy macadamia nuts you can go to so close to Hilo and Kona. the Mauna Loa Macadamia Nut Corporation (visit their website here) has a plantation that is located six miles south of Hilo on Macadamia Road, on the east side of the Big Island. At Mauna Loa you find a 2,500-acre orchard, a nut processing plant, and a chocolate factory. If you are on the Kona coast try the Hamakua Macadamia Nut Company (visit their website here) on Maluokalani Street in Kawaihae. They have a visitor center with free samples and you can make self-guided tours of their plantation. 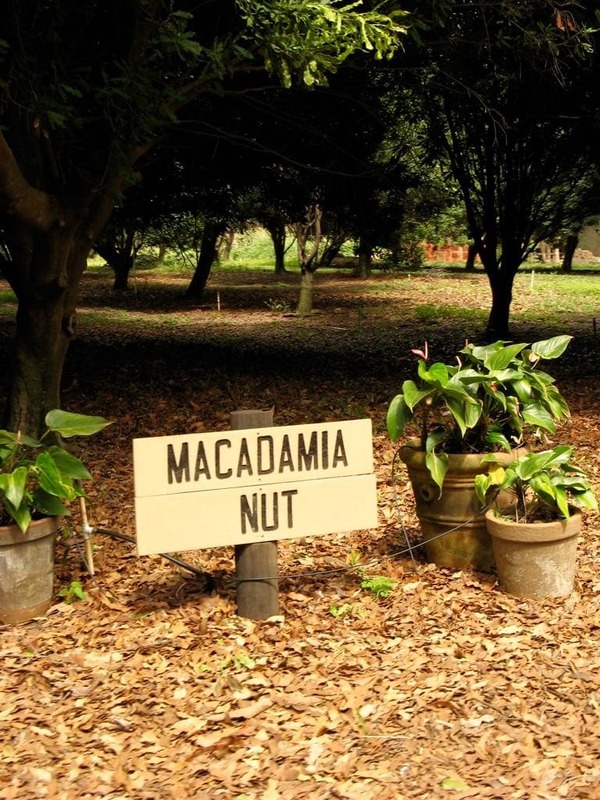 If you like to go really ‘nuts’, you can spend the night at a macadamia orchard. This could be the perfect conclusion to a day of touring the Kona Coffee farms in the area. You could go for example to the Big Island B&B or the Rainbow Plantation B&B. Both are located in the lush and tropical south of Kona district.